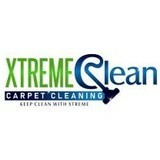 KJM Carpet & Upholstery Care is the name you can trust in providing carpet cleaning to Cincinnati, OH. We provide quality cleaning at reasonable prices. You can always count on us, when it comes to best service. 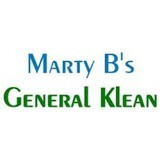 MartyBs General klean has been providing services to local businesses and residential customers since 2001. 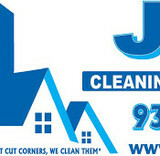 We offer small to medium size office cleaning, carpet cleaning, floor care and window cleaning. Window Butler 3539 Erie Ave Cincinnati, OH 45208, United States 513-375-5531 <a rel="nofollow" target="_blank" href="http://www.cincinnatiwindowbutler.com/">http://www.cincinnatiwindowbutler.com/</a> No matter if you’re talking about your home or business, if your windows aren’t clean, it shows. The problem is that many people don’t know the value a high-quality window cleaning company can provide.Window Butler in Cincinnati, OH, is the area’s leading residential and commercial window cleaning company. But they do more than just wash windows. 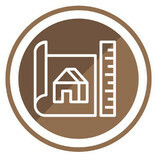 Locally owned and operated, the team at Window Butler focuses on the areas of your property that are often overlooked by normal cleaning companies.Their full suite of services includes: Exterior & Interior Window Cleaning Pressure Washing, Sealing, & Staining Gutter Cleaning Chandelier, Coach Light, & Post Light Cleaning Awning CleaningMany people with dirty windows don’t notice the gradual dirt, dust, and residue as it accumulates. This grime not only makes your property look bad, but it also projects a negative image for any visitors or customers you may have. Window Butler’s professional window cleaning service offers regular cleaning scheduling to remedy this. Their dedicated team will clean everything from small storefront windows and residential window panes to large building complexes. Fully licensed and insured, you can be confident that when you choose Window Butler, you’re getting the most professional, prompt window cleaning service in the Cincinnati area. For an estimate, or to schedule an appointment with the residential and commercial window cleaning professionals at Window Butler, call (513) 375-5531 or visit the window cleaning companyonline. What should I look for in a local Dayton carpet cleaner? Not all Dayton carpet cleaning companies use the same methods, but there are a few common things that they should do to for a quality job. Make sure they do an analysis on the area you need cleaned and recommend the best course of action — are there large stains or high-traffic areas that need extra treatment or attention? Also, make sure they provide quick drying times so that you can be back in your home faster; that means hours, not days! A good carpet cleaning service in Dayton, OH should move furniture (within reason) and put it back in place when they are all done; don't let them charge extra to do this. Another important factor to look out for is whether or not the carpet cleaners use chemicals, and if so, they should be asthma- and allergy-friendly. This is especially important for households that have children or pets. Lots of Dayton carpet cleaning services also clean rugs. Rug cleaning can involve anything from a simple wash to complete re-weaving or foundation work. Make sure the local rug cleaner you choose has experience with the types of rugs you need serviced, especially if they are hand-woven or Oriental rugs. What should I look for in a local Dayton upholstery cleaner? Upholstery comes in many more varieties than carpet and rugs, thus needs cleaning tailored to each specific blend. Even if you don’t know what material your sofa or chair is made with, a good upholstery cleaning service in Dayton, OH will be able to identify it and treat it appropriately. Some textiles require dry cleaning and that can’t be done in home, so if that’s the case, check with the upholstery cleaner and see if they offer pickup and drop off services. Leather cleaning is a bit different and often involves more restoration and conditioning than actual cleaning. Make sure the Dayton furniture cleaning service specializes in leather if you are considering them for the job. 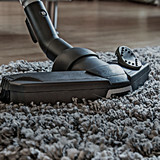 Find Dayton upholstery and carpet cleaning services on Houzz. Narrow your search in the Professionals section of the website to local carpet cleaners in Dayton, OH and read reviews and ratings to find one that fits your needs.